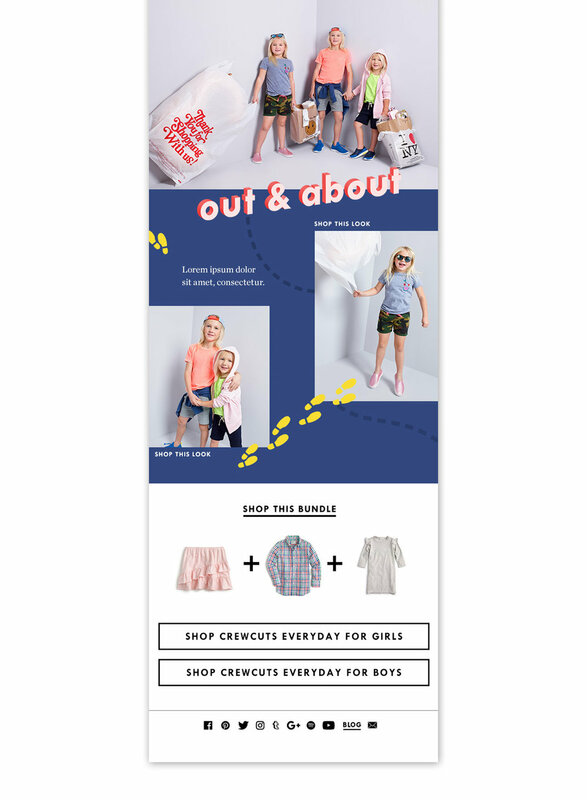 Working with copywriting and merchandising teams to market Spring pieces for Crewcuts—J.Crew's kids line. I was tasked with designing landing pages and email blasts. Here are a few selects where I had the opportunity to create illustrative assets, retouch and mock up layouts. Below is a landing page featuring all the fancy outfits to wear to springtime occasions!